Paget is a favourite parish with visitors. It’s not only close to Hamilton but also offers a wonderful beach and some interesting attractions. Paget Parish boasts an excellent selection of hotels and other accommodation options. They’re concentrated in two locations. The first is the area around Elbow Beach. The Elbow Beach hotel occupies a large area of land bordering the beach itself. It’s fairly expensive but Coco Reef, just to the east, is a more affordable beachfront resort. If you don’t mind a short walk to the beach you can stay in one of the self-catering apartments at Dawkins Manor. Most of the other places to stay in Paget are found around Salt Kettle, an upmarket neighbourhood on the northern side of the parish. There are no beaches here but all accommodation options are on the waterfront. Salt Kettle House and Greenbank are both family-run guest houses on the Salt Kettle peninsula itself. Newstead Belmont Hills lies just to the east and is a mid-sized boutique hotel. It offers good facilities including an 18-hole golf course (separate from the hotel and in Warwick Parish), a couple of restaurants, and a spa. The Bermuda Botanical Gardens opened in 1898 and is the island’s best known park. Hundreds of species of flowers, shrubs, and trees are set in a variety of gardens and open spaces. The park is also home to the Masterworks Museum of Bermuda Art. The charity began repatriating Bermuda-inspired works of art in 1987 but only opened this permanent exhibition space in 2008. Situated in a former arrowroot processing factory, its galleries feature the works of artists such as Wilmslow Homer and Georgia O’Keeffe. The artworks on display are regularly rotated so it’s still worth paying a visit if you’ve been before. Camden, the official residence of the Premier, also lies in the Botanical Gardens. The leader doesn’t actually live here but uses the house for receptions and entertaining dignitaries. Elbow Beach is a lovely half-mile stretch of sand on the southern shore of Paget. It’s mainly public though a section is reserved for guests of the Mandarin Oriental Elbow Beach. Blue Water Divers have a concession here offering shore dives and water sports rentals. Waterville is one of the oldest buildings on the island. It was once the home of the Trimingham family (the owners of the famous department store) but is now the headquarters of the Bermuda National Trust. The organisation owns and manages some of the island’s most fantastic buildings and important areas of land. Paget Marsh is one such property and is just ½ mile from Waterville. It’s a wetland nature reserve and one of the least-disturbed areas on the island. A boardwalk has been built over the marsh and allows visitors to view the many birds that frequent it. 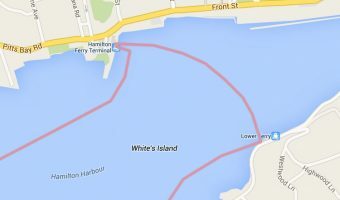 Crow Lane lies at the western end of Hamilton Harbour. There’s a small park here but the main attraction is Johnny Barnes. Every weekday morning the retired bus driver stands in the centre of the roundabout and shouts greetings to commuters as they drive into the city. If you miss him you can walk up the road towards the Bermuda Underwater Exploration Institute and admire a statue erected in his honour. 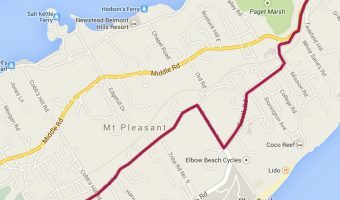 There are tennis courts at Elbow Beach, Coco Reef, and Newstead Belmont Hills. Visitors not staying at one of these properties can play tennis at the Pomander Gate Tennis Club. The MarketPlace group has two supermarkets in the area. The Modern Mart is on South Road is within easy walking distance of Dawkins Manor and Coco Reef. The second store, the A1 Paget, is situated just of Middle Road. Lindo’s Family Foods in neighbouring Warwick Parish is another option. The Bermuda Agricultural Exhibition is the biggest event of the year in Paget. It’s held in April at the Botanical Gardens. The three-day fair showcases the best of the island’s livestock and produce, and also features equestrian events, craft demonstrations, and food stalls. 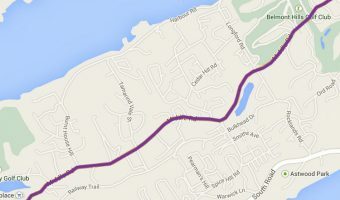 Paget Parish is crossed by all three of Bermuda’s main roads. 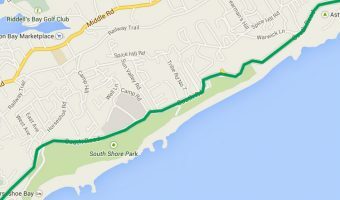 Harbour Road runs along the north shore, South Road along the southern shore, and Middle Road through the central area. The roads get busy in the rush hours so plan your journeys accordingly. Bus 2 and bus 7 travel along the South Road and are convenient for the Botanical Gardens, Camden, Masterworks, Dawkins Manor, Coco Reef, Elbow Beach, and the Mandarin Oriental Elbow Beach. Bus 8 goes along Middle Road and stops near Paget Marsh. Scooters can be rented from Oleander Cycles or Elbow Beach Cycles. There’s a taxi rank at the Mandarin Oriental Elbow Beach. Paget is home to the Bermuda’s major hospital. The King Edward VII Memorial Hospital (KEMH) is situated on Point Finger Road, next to the Botanical Gardens. Both Butterfield and HSBC have ATMs at KEMH and at Rural Hill Plaza (near the Ice Queen). Butterfield also has an ATM at the Modern Mart. There’s a branch of Clarien Bank at Paget Plaza. The Paget Post Office is located close to the junction of Middle Road and South Road. Interactive map of Paget Parish. Places of interest in nearby Hamilton are also shown. Click on any icon for further information.